Our digital devices are always dinging, flashing, or vibrating with alerts, texts, and reminders, indicating that we are constantly—and in some cases, involuntarily—connected. Information has never been so readily available, or so distracting. With so much competing for our attention, it seems nearly impossible to completely narrow our focus to the right things. But, research shows that focus is actually the gateway to thinking. Meaning that without it, your thinking—and everything else that follows, like productivity, performance, and concentration—suffers. Concentration is the foundation of productivity. But what exactly is concentration? In simplest terms, concentration is the ability to direct, control, and focus one’s attention on one thought or task while simultaneously omitting thoughts that are irrelevant to the task at hand. What’s unfortunate, however, is that many people do not know how to control their attention in a way that leads to concentration. According to Harvard Business Review, one of the main things robbing us of our focus are distractions – primarily the ones that stem from our connected devices. Those texts, notifications, calls, etc. we receive throughout the day keep us blindly going from one train of thought to another. And because nine times out of ten they’re unrelated to the task at hand, they almost always kill our productivity. And if you think you’re going to be able to squeeze in a few moments of productivity in-between distractions, you’re wrong. 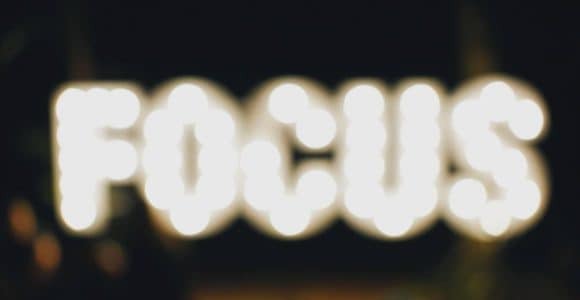 According to an article from Fast Company, on average, it takes 15 minutes of full-fledged focus to get back into the “flow,” aka our heightened state of focus and productivity. In most cases, we don’t go a full 15 minutes before the next distraction occurs. So, squeezing in productivity for one or two minutes here and there is out of the question. 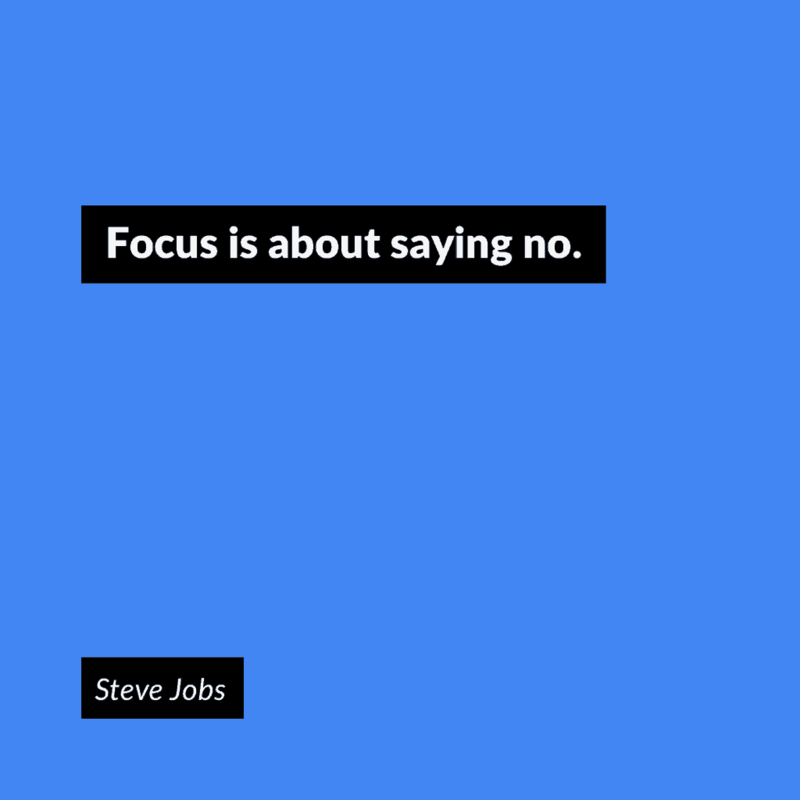 So, what is it going to take to avoid distractions and stay focused? Well, this one is easier said than done, but still very possible to achieve. Using the right productivity tools and software can put us on the path to achieving increased levels of productivity when it matters most. Here are a few features that provide effective ways to ward off distractions and stay focused. We’ve become almost programmed to expect interruption by notifications at any point during the day, and without warning.But, if your daily routine requires that you be and stay focused, these types of distractions must be kept at bay.Understanding the need to concentrate, Shift users can choose to mute email notifications for increments of time: 15 minutes, 30 minutes, one hour, or a predetermined amount of time. Pro and Advanced Shift dashboards come standard with the notification muting feature. With this feature, you can silence all notifications while you work – leaving you with the time and space you need to hone in on your productivity. Surprisingly (well, to an extent), the light being emitted from our devices affect the way we think and operate. It’s called blue light and it messes with our brains and bodies without us even knowing it. Some of the biggest effects of blue light are that it disrupts our melatonin—the hormone our body uses to regulate our sleep cycles—and it can interrupt mental acuity. In a soft effort to combat some of the effects of blue light, every Shift dashboard comes with the option to enable either the Light Theme or Dark Theme. What’s more is that Shift’s dark and light theme options double as aesthetic controls. Depending on the individual, a simple option for making aesthetic changes like these may also serve as an important factor for staying focused. Admittedly, there are only a few things more distracting than seeing a “(1)” next to Inbox or an app that you’re using. As bad as you may want to ignore it, it’s like a tiny reminder begging you to look at it – until, eventually, you give in and shift your attention to it. Now you’ve lost precious time for productivity and focus. So, the best way to fight back is to keep the count from even appearing. You can do that with the Unread Count feature from Shift. We have included a step-by-step guide to disabling your unread count here. While going with the flow may not seem like fitting advice for staying focused and increasing your productivity, it is when “Flow” refers to the project management software for teams. Flow is a flexible team-based project and task management platform. It is designed to keep you and your team focused with tools for planning ahead, setting goals, and tracking progress. Prioritizing your tasks is usually one of the first steps for getting organized so that you can stay focused. 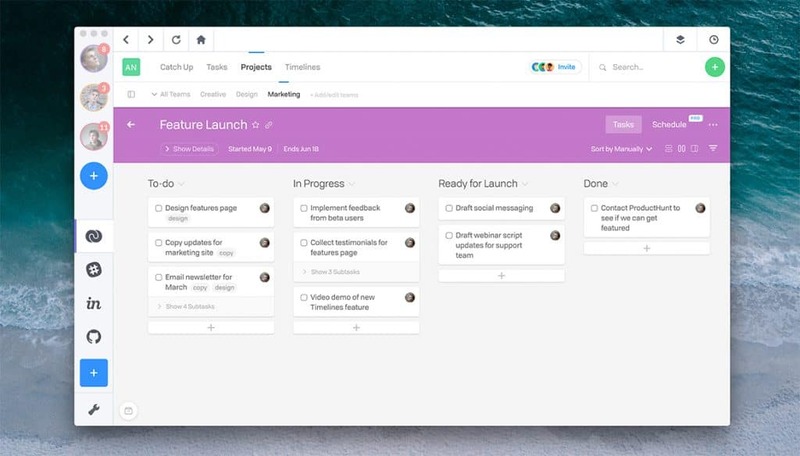 With Flow, users can organize their tasks into sections to better fit their desired workflow. To accommodate different preferences, projects can be shown in list or Kanban views/formats. Keeping up with notifications from your team can be hectic when you’re in the zone. But Flow eliminates the stress that usually accompanies this goal by putting all notifications in one easily-accessible section called Catch Up. We sat down with Jesse Herlitz, VP of Product for Flow, to gain some insight into the considerations that went into the UX development of Flow. If you’re in the market for new tools or software to help your team increase its focus and productivity, check out Flow. The good folks over there understand exactly what it takes and what you need to get your team on the path of concentration. The platform is chock-full of integrations, apps, tools, and support resources to help you take productivity to the next level. In this digital age, there’s no escaping the use of software and other digital tools to help us stay focused and productive. It’s a sad but true fact that of the most effective strategies we can employ to actually be productive at work today is to mute notifications, quit apps, turn devices to Airplane mode, retreat offline, escape and hole up in a cabin in the woods. That being the case, it stands to reason that the design of the software makes a big difference in how much we’re motivated to reach those goals. If you’re truly wanting to achieve higher levels of productivity and focus, you should consider using software that is simple, clean, and well-designed. Such software generally offers a better user experience and removes the *sigh* that comes with trying to figure out how to work it. Flow puts it best: find software that offers just enough of what you and your team need, so that time isn’t wasted on complicated project management systems. The payoff of focus is higher levels of productivity – and who doesn’t want to achieve that? Your goal at this point is to remove distractions and set yourself up for getting the right things done at the right time. Ready to get focused with Flow, right inside Shift? 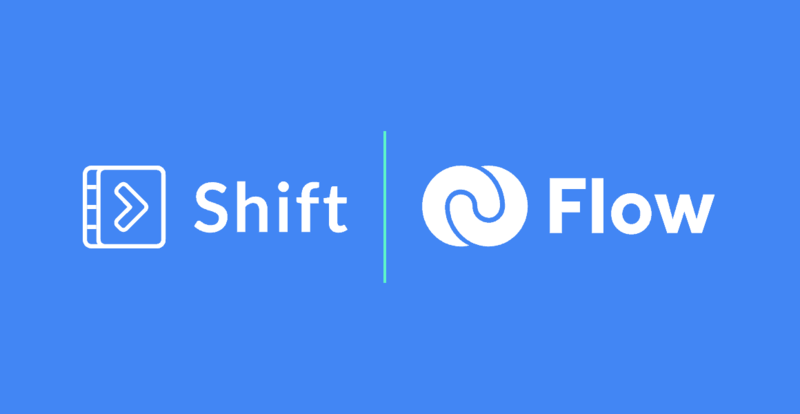 Tweet us @Get_Shift with your favorite way to decrease distractions and we’ll DM you a secret code for 30% off any annual Flow plan, or 10% off a monthly subscription if you prefer.